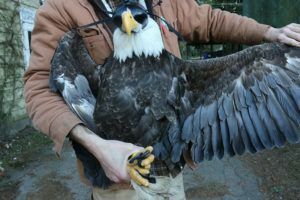 BETA02 was picked found injured and nearly dead by our one of our directors in January 2019. 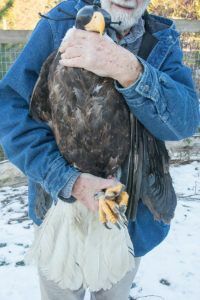 She was incredibly lethargic and underweight and presumed to have suffered from rodenticide or lead poisoning. 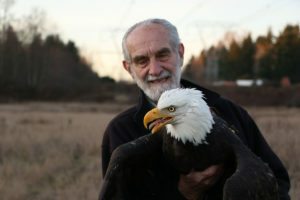 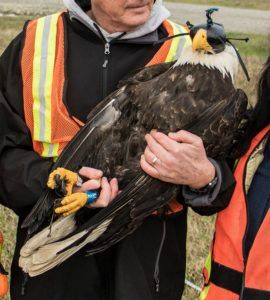 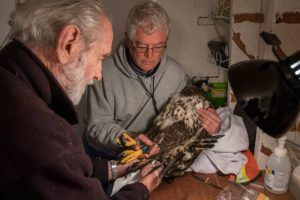 She was taken to OWL Rehab Center in Delta and was subsequently nursed back to health and released with a transmitter on March 21 2019. 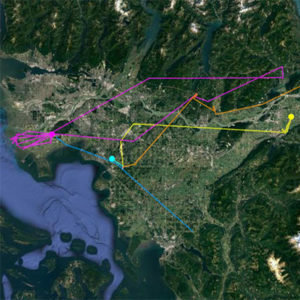 She left nearly immediately thereafter to head north to Alaska for the breeding season. 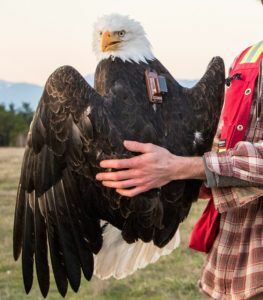 This bird is presumed to be about 4.5 years old based upon some black flecking and subadult plumage in her wings and breast.